The goal of this training programme is to train qualified and inspiring yoga teachers who are able to draw on their own practice and personal discipline and share the yoga experience with others. This course is suited to all yoga practitioners who seek a transformative experience in beautiful surroundings. 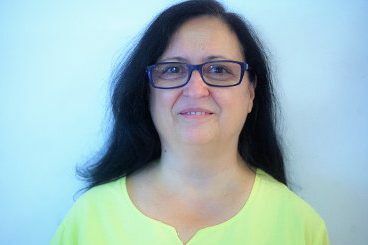 Possibility of translation into Portuguese. Please contact us for details. Rates include tuition, two uniforms, the course manual, accommodation and meals. Remaining balance (in cash or by money transfer) to the same account indicated above. The balance is due no later than 4 weeks before the start of the course. Includes: examination fees, administrative costs, teaching, two uniforms for yoga practice, and the yoga teacher’s manual. Does not include: travel expenses, cost of excursions, private consultations, kriya material, laundry service, or any other additional service. Please do not book your trip or make any payments until we have confirmed your participation in the course through a conversation or personal interview with the Sivananda Yoga Centre in Madrid. Certificate from the International Sivananda Yoga Vedanta Centre organisation (ISYVC) is awarded on successful completion of the course. The diploma is entitled “Yoga Siromani”. The course will be taught in Spanish with simultaneous translation into English using a modern wireless translation system and headphones (available in the yoga boutique or bring your own). The course may additionally be translated into Portuguese, please enquire for details. Please note: These books are not included in the course fee. They can be purchased at the Sivananda Yoga Centres or via the online shop. Also available at the Sivananda Yoga Centres or via the online shop. There may be occasional changes to the daily schedule. Four-week theoretical and practical training in all aspects of yoga composed of 401 training units of 45 minutes’ duration. Certificate from the International Sivananda Yoga Vedanta Centre organisation (ISYVC) is awarded on successful completion of the course. The diploma is entitled “Yoga Siromani” and recognised by Yoga Alliance for the 200 hours Registered Yoga School Standards. This course was established in 1969 by Swami Vishnudevananda as the first yoga teachers’ training course taught to Western students and now has over 43,000 graduates. Some impressions of the Yoga Teachers’ Training course in Aluenda, Spain. 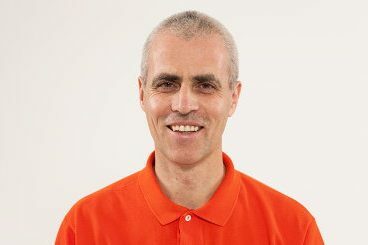 Swami Sivadasananda, Yoga Acharya, is a senior student of Swami Vishnudevananda and has taught at workshops and Yoga Teachers’ Training Courses around the world for many years. 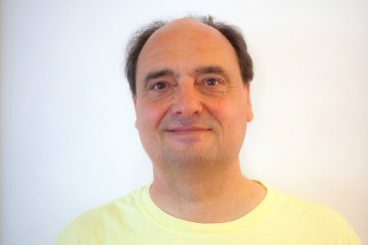 He is a dynamic, precise and knowledgeable instructor. 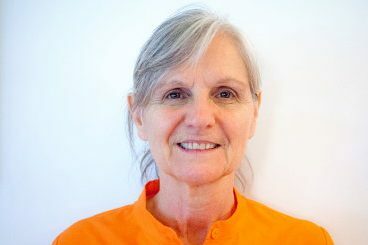 Swami Dayananda is the director of the Sivananda Center in Buenos Aires (Argentina) and teaches the Sivananda Teachers' Training Courses in South America and Spain. She is a steady practitioner of Hatha Yoga and a student of yoga anatomy. She has the ability to clearly convey the knowledge of Yoga and Vedanta. 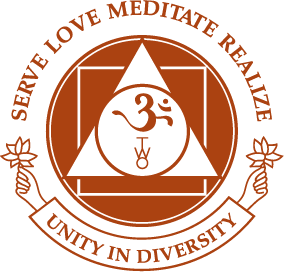 Chandra is a direct disciple of Swami Vishnudevananda. 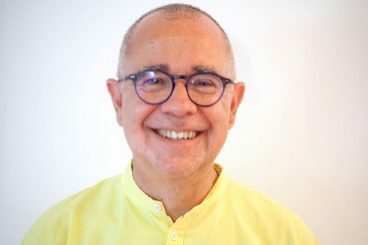 He has taught at the Sivananda Yoga Centres and international courses in Argentina, Brazil and Spain with dedication for more than 40 years. Gopala is a direct disciple of Swami Vishnudevananda and teaches anatomy and meditation in the yoga teachers' training courses. 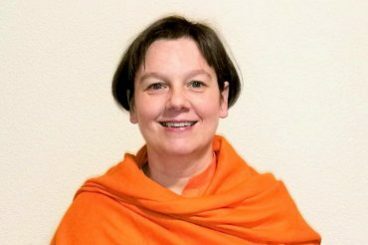 Swami Santoshananda has received training in the Sivananda Yoga Centres of Europe and is currently director of the Sivananda Yoga Centre in Madrid. With a great inclination towards devotional music, she teaches the practice and philosophy of mantra chanting. 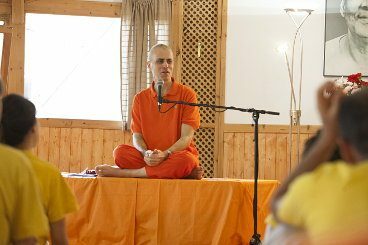 Senior disciple of Swami Vishnudevananda, he has taught Yoga Teachers' Training Courses around the world for over 30 years. 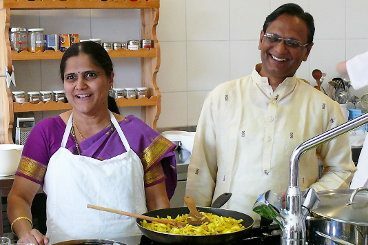 Sanjay and Anjani Kulkarni have spent the last 20 years teaching Ayurveda around the world. They use their profound expertise to give practical advice on how to prevent disease and develop radiant health. Opportunity for a private consultation (extra cost). On the bansuri, the traditional Indian bamboo flute. He spent many years of musical training in India. 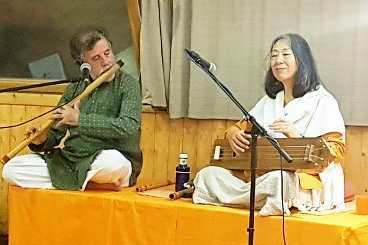 Carlos Guerra will be accompanied by his wife Tokuko Nakamura on the tampura (string drone instrument). 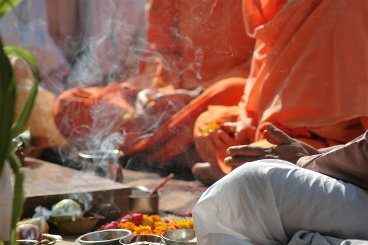 The colours, sounds, aromas and gestures of the traditional temple ceremonies (Pujas) help clear the mental atmosphere and create a strong meditative vibration. Originally from Argentina, Prema is an inspiring yoga practitioner and teacher in Taiwan. She also modeled for the Sivananda book Yoga: Your Home Practice Companion. Researcher, pharmacist and biochemist. 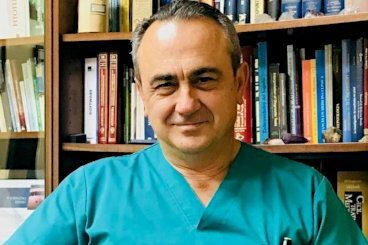 Expert in bioregulatory medicine, participates regularly in national and international congresses. It is a reference in the investigation of holistic aspects in medicine and the healing properties of medicines based on natural active ingredients. The rural hotel lacasatoya, located on the outskirts of Aluenda, features cozy rooms and free WIFI in all areas. Its organic restaurant serves nutritious vegetarian meals buffet-style. Enjoy the refreshing salt water swimming pool purified with ultraviolet light treatment, and an adjoining area for sunbathing with spectacular views of the mountains. The hotel has several landscaped areas with natural grasses and fruit trees that create a refreshing atmosphere on summer evenings. The 180 m2 Jupiter room is an ideal place for the practice of yoga and meditation. It has air conditioning and a wooden floor. The hotel has three other rooms of different sizes and similar characteristics, as well as outdoor spaces for the group teaching practice. At 900 meters above sea level, nestled in the Sierra de Vícor, is the small town of Aluenda (Zaragoza), providing an ideal environment for the practice of yoga and meditation. It has two sources of natural spring water coming directly from the mountains. An old church surrounded by stone and adobe houses, pines, oaks, cherry trees and almond trees, create a landscape reminiscent of an era long gone. 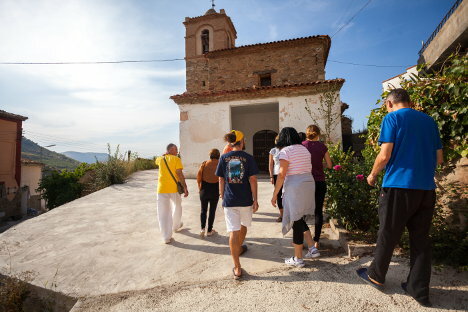 An opportunity to discover the charm of authentic traditional Spain. There is coverage for mobile phones and WIFI service in all facilities. Yoga accessories: yoga mats, meditation cushions, asana clothes, meditation shawls, yoga books, mantras CDs, headphones for translation, and more. There is an outside laundry service at additional cost. There are also facilities for hand washing and clotheslines. Arrival at 2 pm on August 4. Departure at 10 am on September 2. The environs of Calatayud currently boast seven spas known for their healing properties. The closest is that of Paracuellos de Jiloca, just 10 minutes from lacasatoya. Its sulphurous waters are ideal for the treatment of skin and respiratory system ailments. 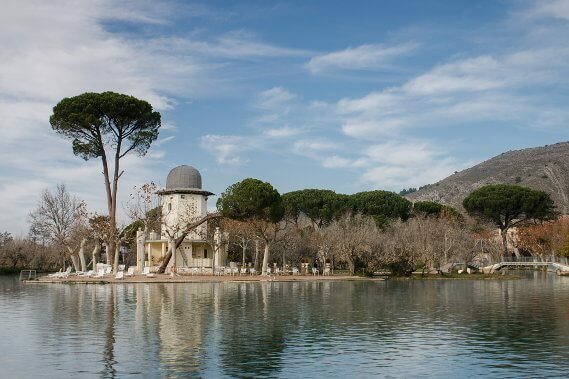 Another beautiful place is Termas Pallares, a thermal lake having a fixed temperature all year round. Located in a leafy natural park, and built at the transition from the Romanesque to the Cistercian Gothic, the monastery invites you to discover its passageways, chapels, and a magnificent cloister. The environment is pure in nature, with spectacular waterfalls in a dreamlike setting. City of great monumental wealth from the 11th century. 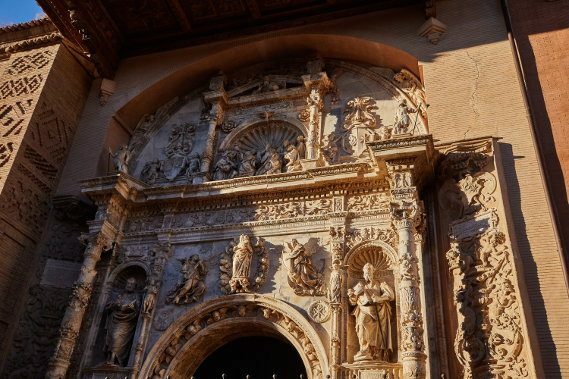 Especially noteworthy are its synagogue in the Jewish quarter and its Mudéjar-style architecture which was declared a World Heritage site by UNESCO in 1986. 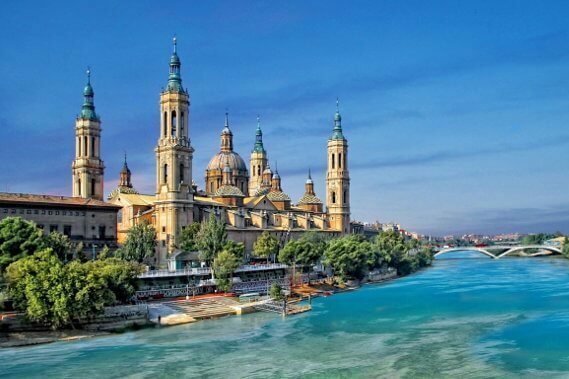 This multicultural city is characterized by its impressive 17th-century Cathedral-Basilica of Our Lady of the Pillar, an important place of Marian pilgrimage. Other places of interest are the Roman walls and examples of Mudéjar architecture such as the Aljafería Palace. Many airlines as well as low-cost carriers fly to Madrid and Barcelona. By car: from Madrid take the A-2 motorway until exit 244; from Zaragoza take exit 252. Lacasatoya has a large parking area for cars. From Madrid: 250 km; from Zaragoza: 65 km. Local shuttle: Automóviles Zaragoza or taxi service (976 881 428) (approx. €20).